A bit of online sleuthing led me to discover that one of the neighbors was having a boy and had a woodland theme for her nursery (Facebook is helpful that way!). 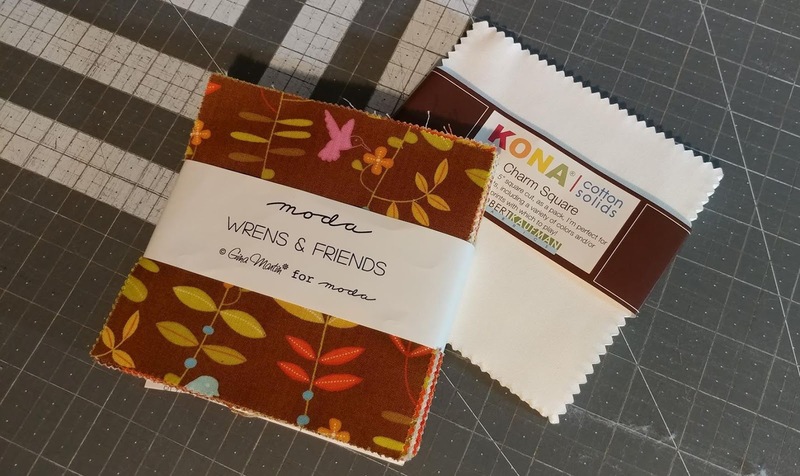 I got out my stash of charm packs and was excited to find a Moda charm pack named Wrens & Friends - the neighbor's last name is Wren! 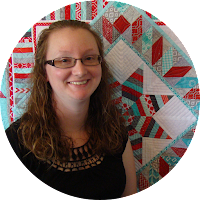 Unfortunately, I felt the fabric was just a bit too girly (more flowers and pink than a typical boy quilt). 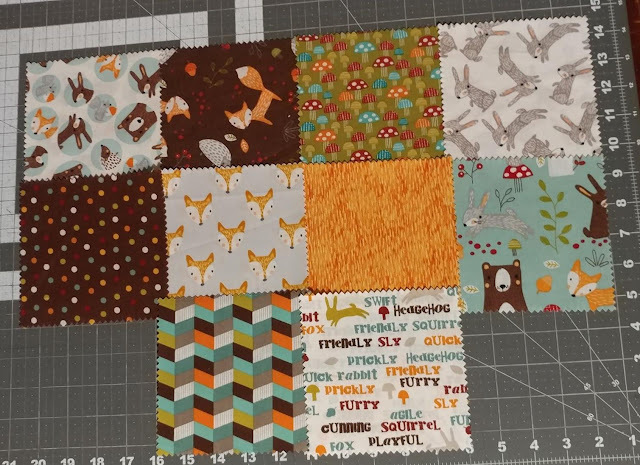 A quick trip to Hobby Lobby later, and I had a precut set of woodland fabric that was more "boyish." In order to have enough squares for a 32" square quilt, I actually had to add a few squares from the Wrens & Friends charm pack into the mix! I alternated the prints with 5" charms of Kona White. 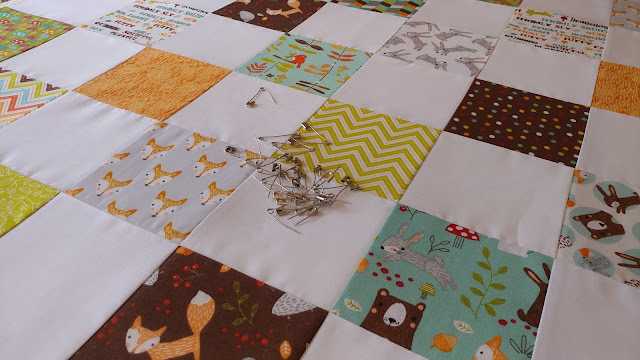 The 32" square quilt sewed up quickly! 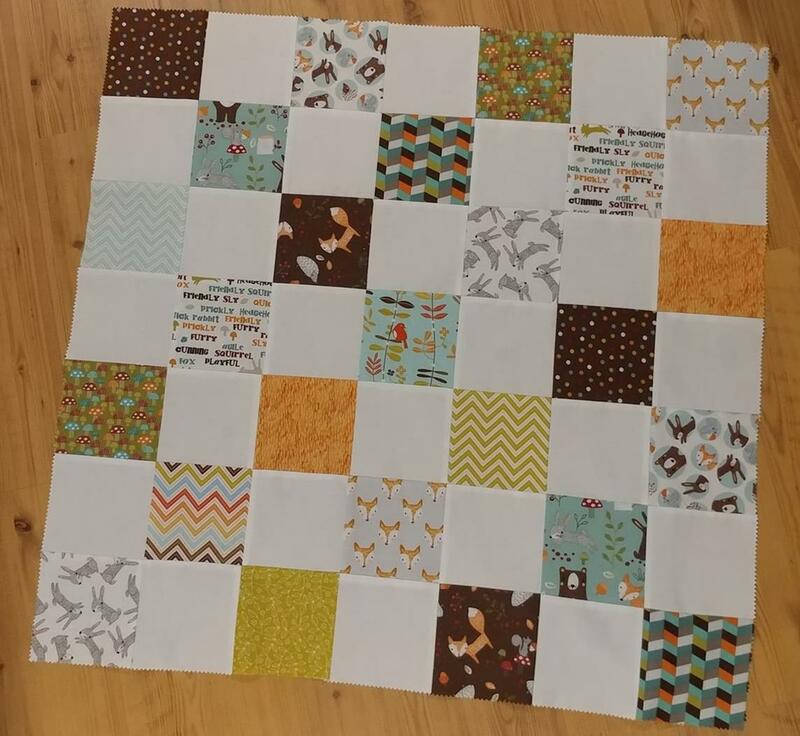 I even had a great backing fabric in my stash. 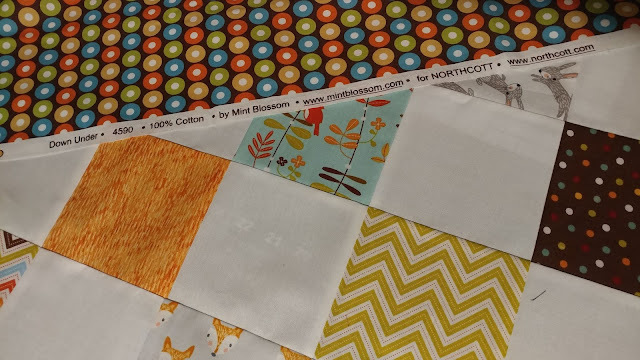 It's a colorful dot fabric with a brown background from the Down Under collection by Mint Blossom for Northcott - from 2012. I bought yards and yards of it (along with many other fabrics!) 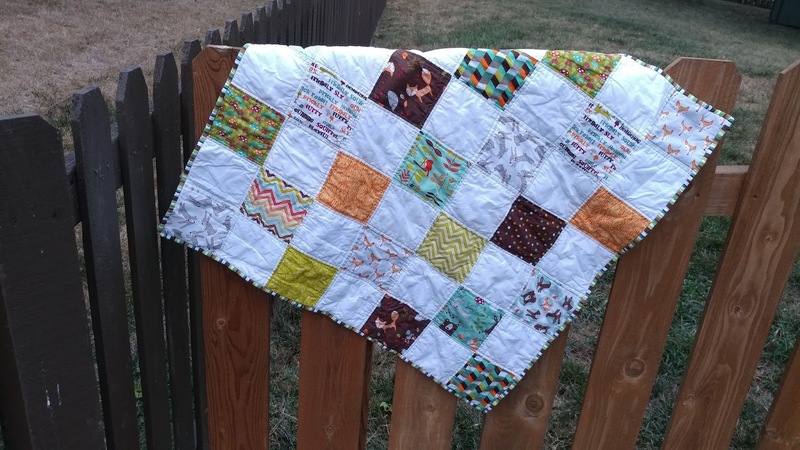 for $0.99 a yard when an online quilt shop went out of business a few years ago. It feels good to finally get to use some of it! 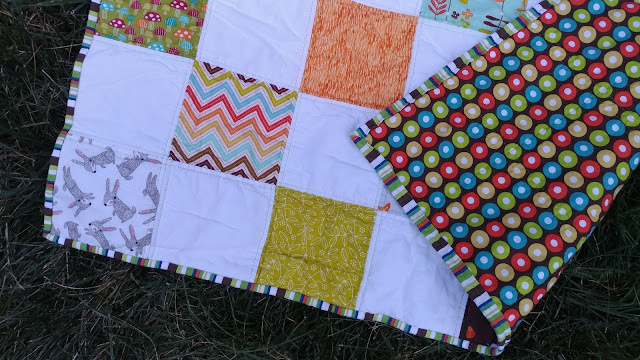 I decided I wanted simple straight line quilting, so I pin basted in preparation of quilting on my domestic machine (a Juki TL-2010Q). I used a cotton batting scrap of Warm & Natural by The Warm Co.
Once quilted, I used another Down Under print - this time a stripe - for the binding. I decided to wash it with a Color Catcher before gifting, just to be safe. Of course it turned out fine! I've started keeping labels printed and ready to go now. I'm not sure they will really stand up to any washing though. I should test it, but I haven't yet. I've considered ordering fabric from Spoonflower with labels printed on it. Have you done that? Do you print labels? Handwrite them? 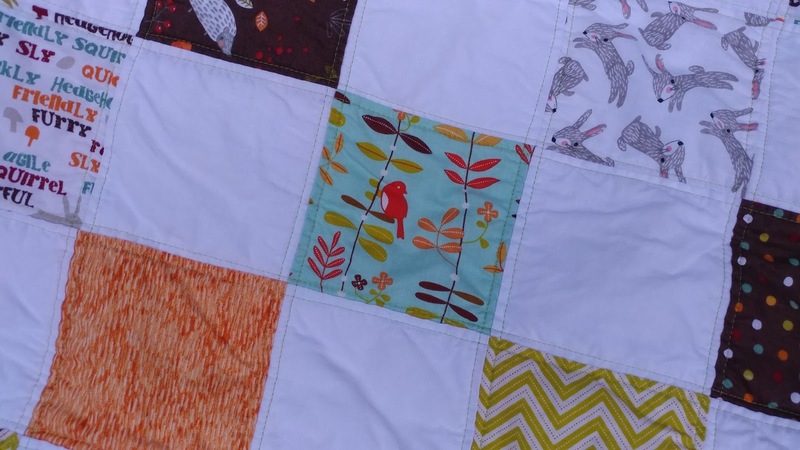 This quilt is my 36th quilt finish for the year! (See all of this year's finishes - well, the ones I can share so far! - here). 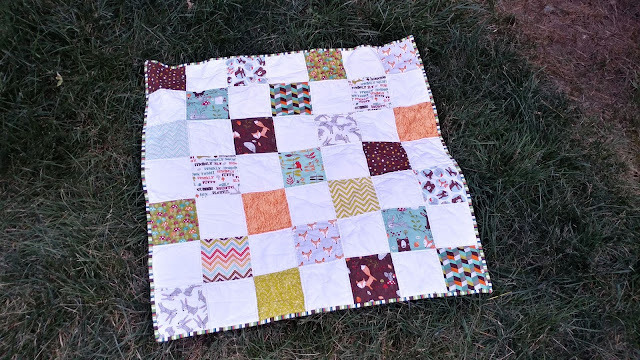 Baby Wren was born a few days ago, and I was able to deliver the quilt today! Welcome home, baby Wren! Oh, what a sweet gift from a new neighbor and for a new baby. That was so sweet of you! Just think, three babies growing up together right next door - perfect beginning to a lifetime of friendship, if they are lucky. You're officially the best neighbor ever. 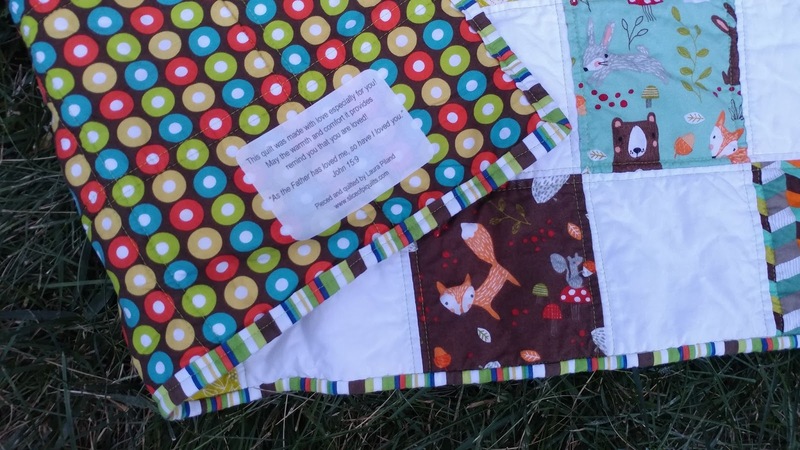 A baby quilt is a fabulous way to make friends! 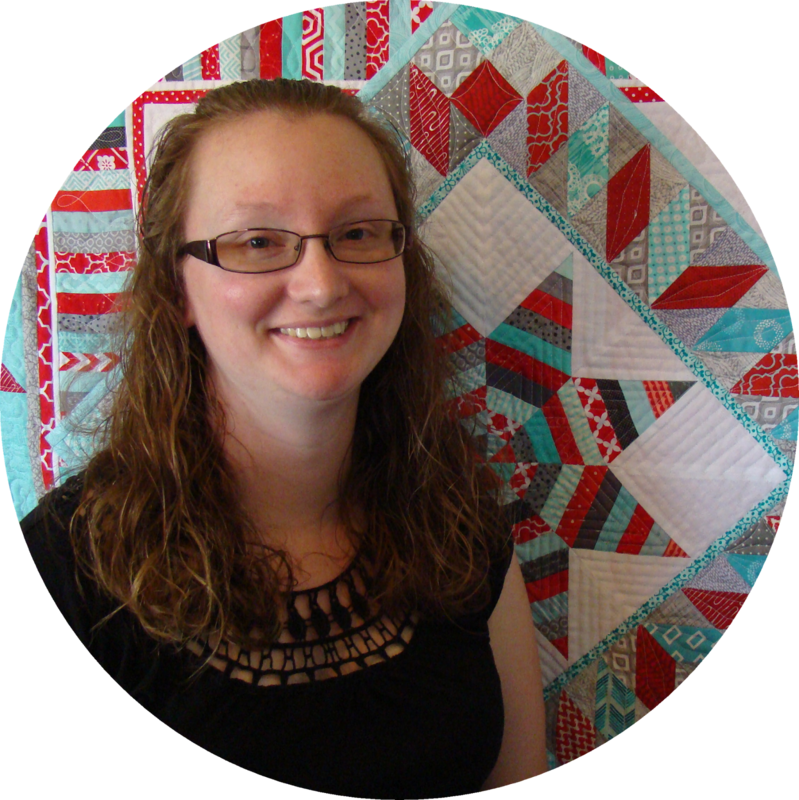 I just love the personalized tag that you put on the quilt. I hand write my labels. It only takes a minute, and I trust my fabric pen. I also save myself time by doing triangular labels stitched in with the corner of the binding. That way I only have one side to stitch down by hand. What a very sweet gift! 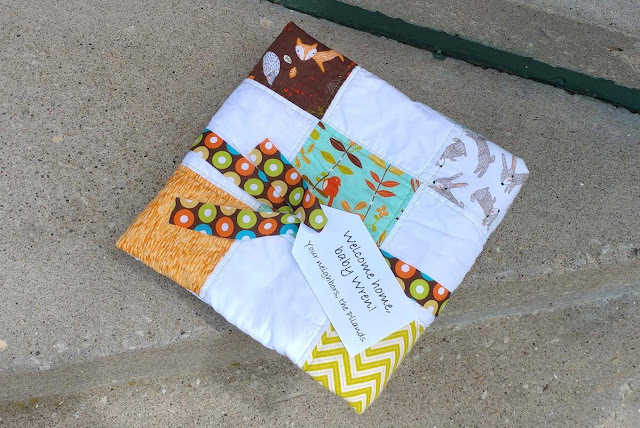 I bet your neighbors will love having the quilt. It feels like not much longer and you'll be bringing home your baby home. This is such a sweet thoughtful gift for new neighbors. I love your sluething around and finding out colors, etc. On labels - I have used printed labels and I don't think they hold up in the wash - and it is one of the recommended brand. That being said, it could be better now but the one that had been on my bed for ages, no longer has a readable label. Pigma pens definitely hold up- yes. Spoonflower labels - terrific idea! I do have the little ones that I attach now and really love them. 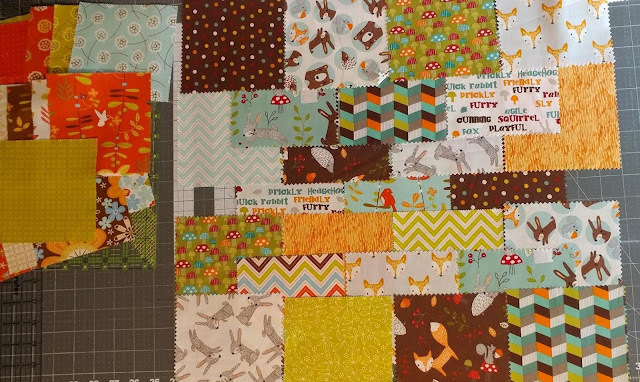 I try to make it a part of the binding process and make the label as I do that - but I love it - binding fabric around a spoonflower label and you are done!!! A wren quilt for the new baby Wren. 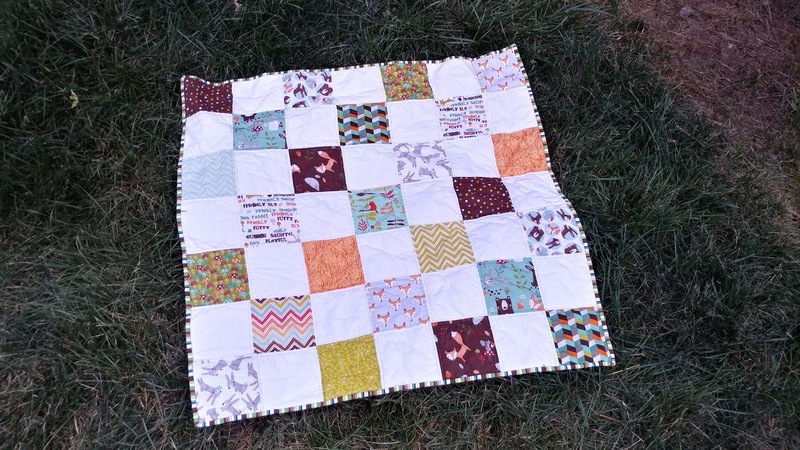 Beautiful quilt and lovely backing too. Not only you have neighbors that are grateful to have you move into the neighborhood, your new baby will have same age friends to play with. The universe works in wondrous ways.